Although at the moment the colder weather seems to be holding off, we all know what is just around the corner and as usual we can expect the British freezing temperatures and cold winds throughout the winter months! The weather has already started to turn in the last month and we are starting to feel the effects of the cold later in the evenings and at night. Many homeowners who already have our wooden shutters installed are starting to feel the great insulation benefit that is built into them as standard. Proven as one of the best window dressings for insulating the home, they not only look the part, but they are fantastic at keeping the warmth in and the cold out! 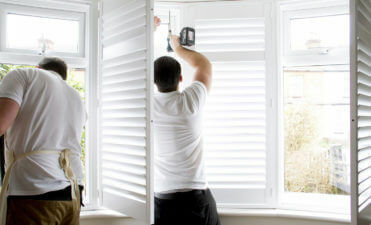 Shutters work much in the same way as fitting draft excluders or having roof cavity fitted. 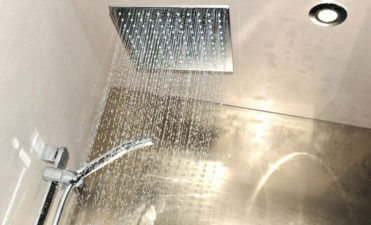 They are a barrier between areas of the home where heat and energy escapes. 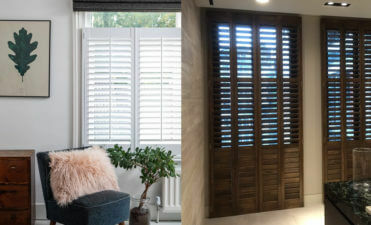 Compared to other methods of window dressing, our bespoke shutters are made to measure leaving little to no gap around window recesses which acts as the perfect barrier. They can also easily be fitted to any type of window recess no matter how awkward the shape, which you simply can’t achieve with curtains and blinds. Research carried out by Glasgow Caledonian University found that on a single glazed box sash window wooden plantation shutters reduced heat loss by 51% compared to a reduction of 14% with standard curtains. Approximately one third of your properties total heat loss occurs through windows and doors, which is why it can be such a great investment having shutters fitted to your home. Many overlook the insulation properties of shutters and focus purely on the benefits in the summer months, but shutters can really help keep your home warm and work to reduce your energy bills over the many years that they are fitted. It’s no wonder that many see window shutters as a great investment when deciding on having them installed! Full Height, Tier on Tier or Café Style, which is right for you? Can Shutters be created Waterproof? 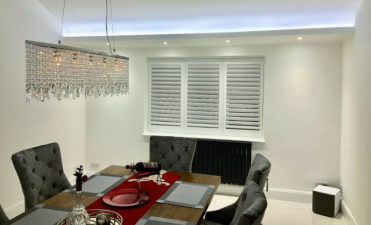 Why have your shutters designed and installed professionally? The Advantage of our Shutters over the Winter!